Evergarden – The match-three puzzle has become a very popular form of entertainment since the Line98 game on Windows was more popular. Because of that, players still use the genre as a tool to kill time on both PC and mobile. Easy to understand, cute graphics are the main characteristics. The best-known games are Blossom Blast Saga, Farm Heroes Saga, Race the Sun, and many others. 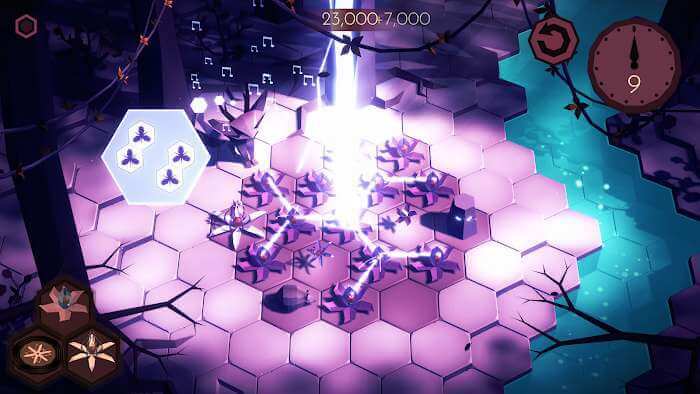 Especially Race the Sun features a unique gameplay, different from almost all games in that genre. Flippfly was successful with that game and they just announced that they are on the way to a completely new game. If you’ve loved this manufacturer, you’ll love their latest product Evergarden. An enchanting garden enclosed in a glass sphere will take the player to can different world. Real and virtual in the game interwoven into an interesting story. The time seemed to stand still and space grew as if just looking at Evergarden’s ever-blossoming flowers. Seeing it is a very elegant pleasure that not all games can create. More good news for those who are waiting for it. It’s about to be released in two short weeks. If you are interested you can follow the game’s homepage to get the latest updates. Ideally, you should pre-order right now and wait until August 16th. For a simple description of the game, it is a match-three puzzle game but the mechanics used in Evergarden are much more complex. The map of the game will feature several small boxes containing the flowers in each box. Each cell will be a hexagon, so its linkage with the surrounding cells is very much, forming a very complex flora. The light, the rain will make the trees grow and you will have to do the task mix to create beautiful flowers bloom. A mysterious looking forest will be planted and raised by your hands. 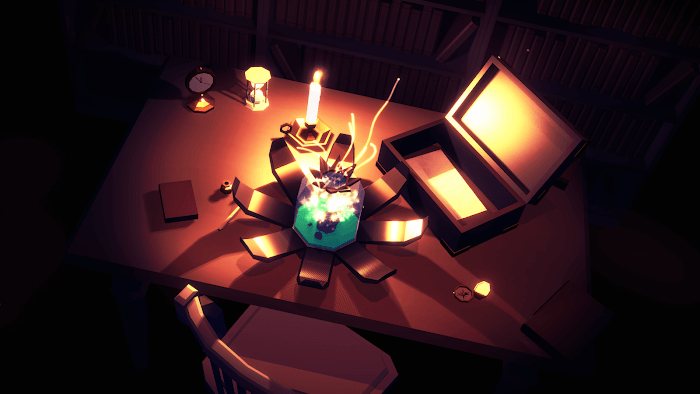 Combine the same flowers into strange new forms in the game’s calming rhythm. 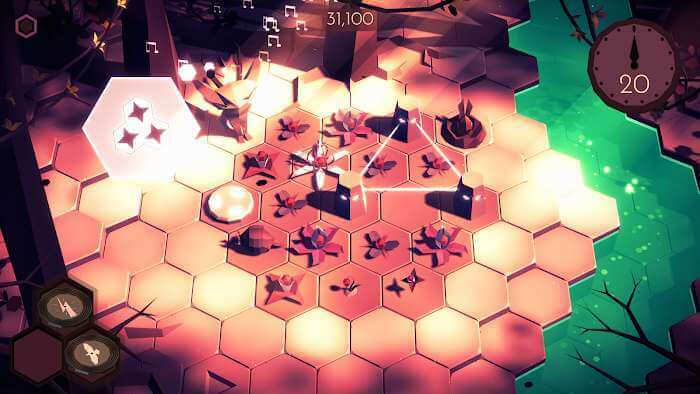 A beautiful scene will gradually open up, causing the player to be stunned to observe. Sometimes the time you watch the world in the game more than the time you play it. 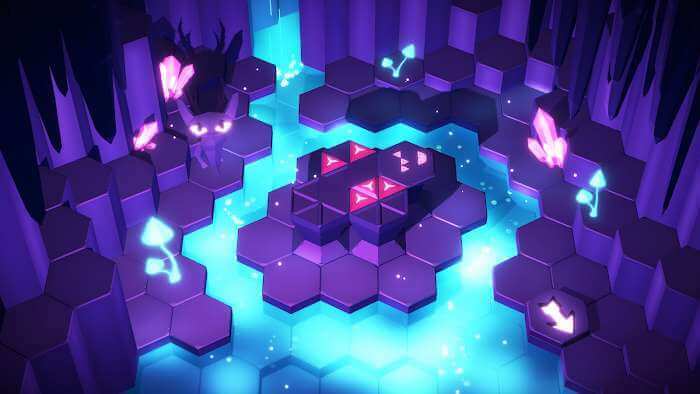 Although it is easy to combine flowers, the game builds a tempo that allows the player to adapt to the deep levels of skill and contemplation in each stage. Evergarden is an art gallery, not a game. The hexagonal that makes up everything, including flowers, leaves, soil, plants, animals, make it an abstract painting. The players are immersed in the maps around the trees, the murmuring streams and the golden sunshine shining down. The harmonious blend of nature and clever music. The game is supported on both iPad and iPhone devices and will allow players to enjoy anytime, anywhere. Finally, it is optimized to be able to display a unique mix of images and sounds. Players will be immersed in it, looking for hidden rules to be able to play the game successfully and score the most points. This game is a passionate product that they have poured their hearts (and brains) into. Download it and enjoy that masterpiece in free time.